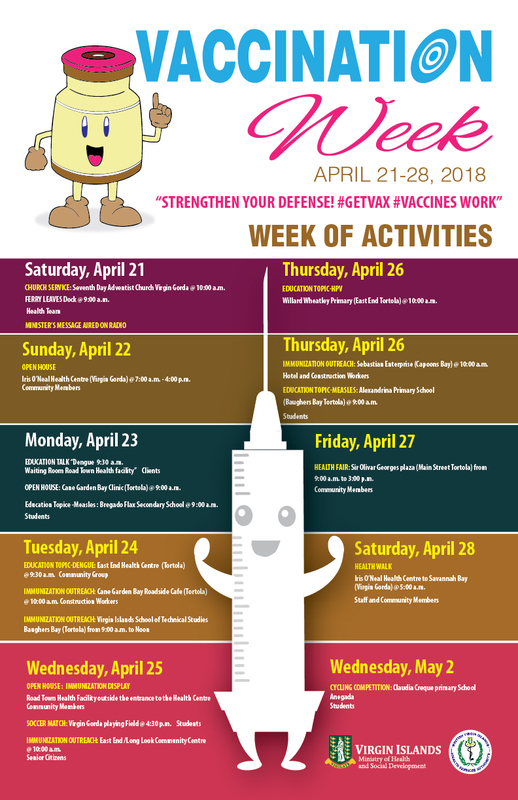 Honourable Skelton Ronnie W. Skelton, in a statement in support of the 16th annual Vaccination Week, is calling on parents and guardians to ensure that their children have up-to date vaccinations. The Minister for Health stated that it is important that residents continue to support these initiatives as they provide an opportunity to advocate for continued investment in strong immunization programmes. “It is also an opportunity to share information and educate the community on the importance of vaccination and its impact on the continued fight against dangerous diseases like measles, polio, and tetanus among others,” he added. Honourable Skelton is inviting residents to support a soccer game on Virgin Gorda, a health fair and the outreach and educational sessions organised for the week.